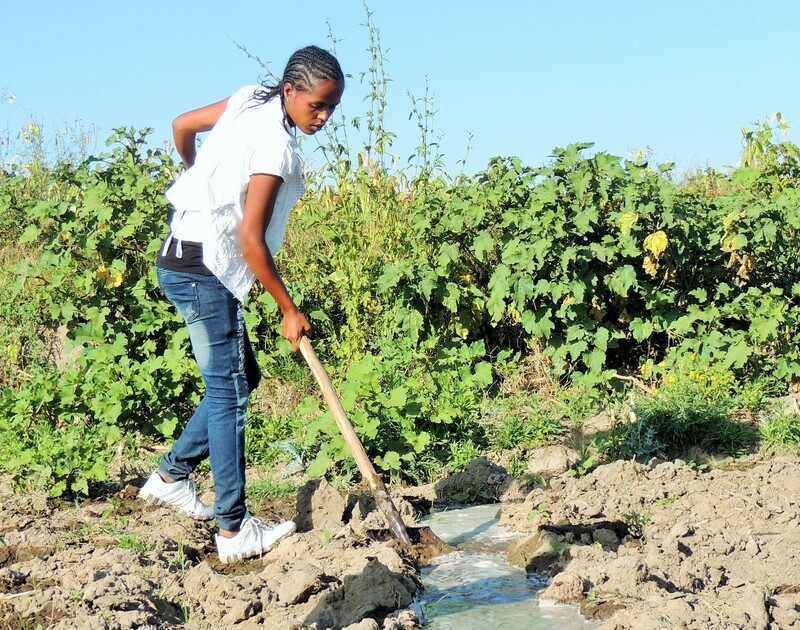 Last year, BGR entered into a partnership with Oxfam America on a project to improve food production in the Meki-Ziway area of the Central Rift Valley in Ethiopia, a region affected by increased costs of farming, excessive use of pesticides and water, and decreasing water levels. The project aims to meet these challenges by applying the System of Crop Intensification (SCI) to such crops as tomatoes, peppers, onions, cabbage, and potatoes. SCI draws on the methods that have already proved successful in the System of Rice Intensification (SRI), extending them to other crops. SCI emphasizes growing bigger, healthier root systems, and enhancing soil fertility. The method should increase vegetable production while reducing water use and reliance on chemical fertilizers and pesticides. Producing more while reducing costs will increase income and enhance household nutritional security among the Ethiopian farmers of the Meki-Ziway area. This second year of the two-year project will focus on building the capacity of local partners to continue SCI training. It will also organize workshops to share knowledge with other regions and develop manuals and videos to make the methods more widely available to Ethiopian farmers. Year two of a two-year project. Haiti is the poorest country in the Western hemisphere, with nearly 90% of Haitians in the countryside living in poverty and two-thirds in extreme poverty. Haiti was once self-sufficient in rice, a staple in the national diet, but rice production has sagged and it now imports over 80% of its rice. 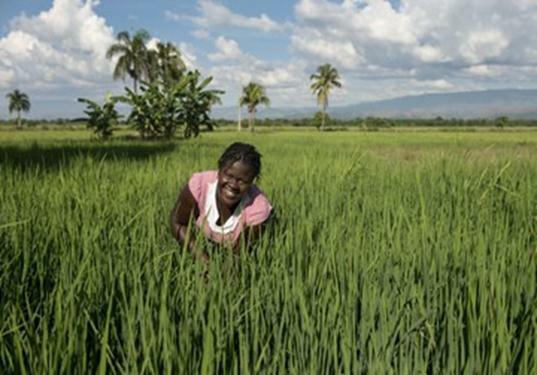 To increase the output and income of rice farmers in Haiti, Oxfam America is promoting the System of Rice Intensification (SRI), a method of cultivation which lowers inputs but results in rice plants that are more resistant to climate extremes, pests, and diseases. Yields can increase by 50%-150% within one or two cropping seasons. Last year BGR teamed up with Oxfam America on a two-year project to enhance the use of SRI in Haiti. The first-year of the BGR grant enabled the training in SRI to be extended to thirty additional farmers, both women and men, for a total of 300. In the second year, the grant will extend the training to still more farmers. It will also establish financial support for farmers, improve a local processing mill, and train youth to use cultivation and harvesting machinery. Year two of a two-year project. In the spring of 2013, BGR entered into a partnership with Oxfam America to pilot a system of crop intensification (SCI) in the Central Rift Valley of Ethiopia. The aim is to increase income from vegetables and enhance the household nutritional security of the participating families. This is the second of a five-part series on BGR projects approved for fiscal year 2013–14. Thanks are due to Patti Price, chair of the Projects Committee, and Jessie Benjamin, Carla Prater, and Jennifer Russ for preparing the material. Since 1970 the international relief and development organization Oxfam America has worked with local partners to right the wrongs of poverty, hunger, and injustice. BGR will be partnering with Oxfam America on a project to improve food production in the Meki-Ziway area of the Central Rift Valley in Ethiopia. The project aims to apply the System of Crop Intensification (SCI) to such crops as tomatoes, peppers, onions, cabbage, and potatoes. SCI draws on the methods that have already proved successful in the System of Rice Intensification (SRI), extending them to other crops. SCI emphasizes growing bigger, healthier root systems, and enhancing soil fertility with the life in the soil. The method should increase vegetable production while reducing water use and reliance on chemical fertilizers and pesticides. Producing more while reducing costs will increase income and enhance household nutritional security among the Ethiopian farmers of the Meki-Ziway area. Haiti is the poorest country in the Western hemisphere, with nearly 90% of Haitians in the countryside living in poverty and two-thirds in extreme poverty. Haiti was once self-sufficient in rice, a staple in the national diet, but rice production has sagged and it now imports over 80% of its rice. 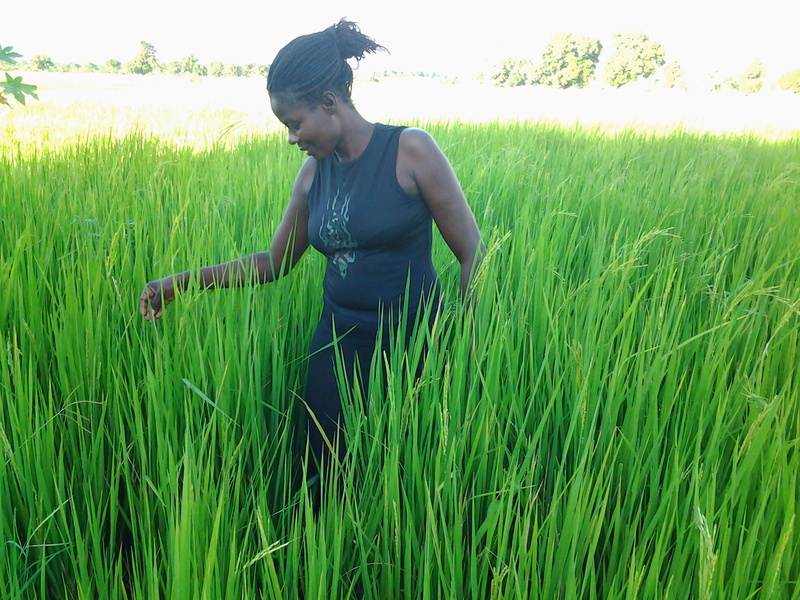 To increase the output and income of rice farmers in Haiti, Oxfam America is promoting the System of Rice Intensification (SRI), a method of cultivation which lowers inputs but results in rice plants that are more resistant to climate extremes, pests, and diseases. Yields can increase by 50%-150% within one or two cropping seasons. 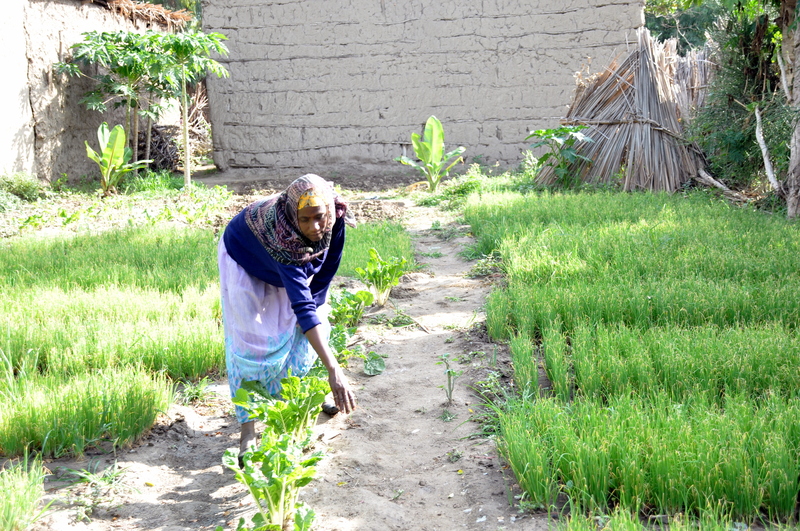 With the collaboration of local partners, Oxfam has been providing SRI training and support to roughly 150 farmers. The grant from BGR will enable them to extend the training to thirty additional farmers, both women and men. The grant will also be used to purchase labor-saving agricultural equipment vital for SRI and facilitate the rehabilitation of 5 kilometers of local irrigation canals, which are critical both to rice production and flood control. 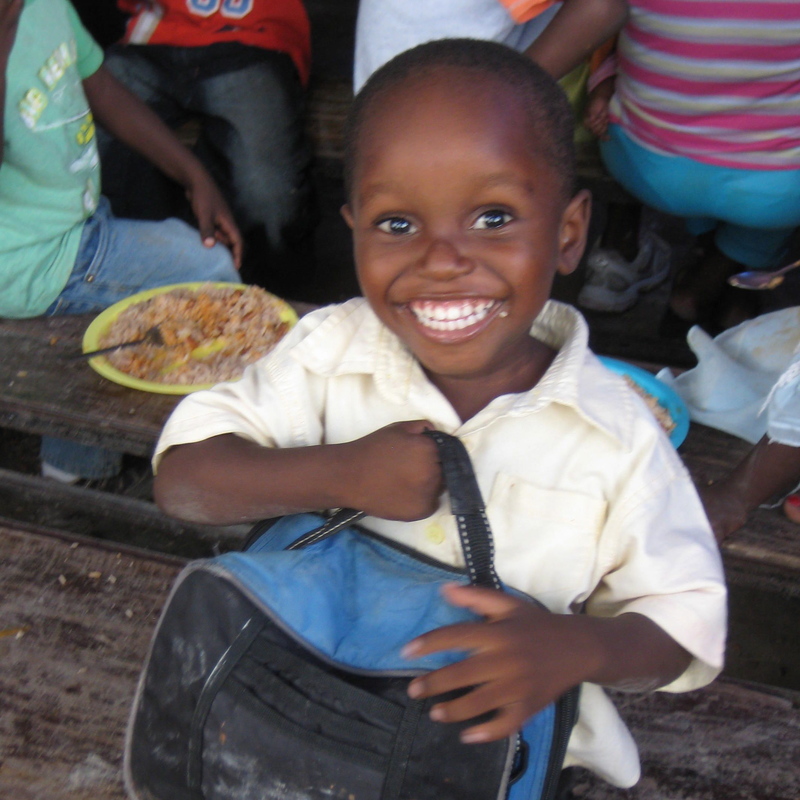 Every weekday in the impoverished Ti Plas Kazo neighborhood of Port-au-Prince in Haiti, over a thousand children (and a few adults) line up at the Lamanjay free meals program to receive a plate of hot, nutritious food. The U.S.-based What If? Foundation, an organization dedicated to improving the lot of poor children in Haiti, has worked in close partnership with members of the Ti Plas Kazo community to sustain the food program since it started in 2000. The urgency of the program increased sharply following the terrible earthquake that struck Port-au-Prince in January 2010. The community served by Lamanjay includes mostly children who still live in nearby tents with unemployed parents or guardians who cannot provide the children with sufficient, nutritious food. Other children walk miles to attend. For most of these children, the food they receive at the food program is their only meal of the day. The grant from BGR will cover the meals provided by the food program for 36 days between June 2013 and June 2014. The goal is to ensure that, as they struggle to rebuild their lives, thousands of hungry children and some adults in Port-au-Prince have access to hot, nutritious meals. One specific challenge facing Haitians today is the high cost and inaccessibility of education for the poor. Attending school in Haiti has long been a privilege rather than a right, and half of school-aged children were not enrolled in school before the January 2010 earthquake struck. The earthquake destroyed thousands of schools, driving school costs up still higher. 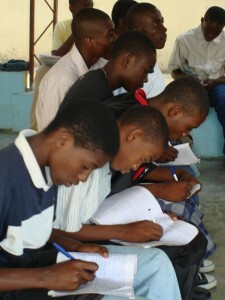 As a result, thousands of school-aged children in Port-au-Prince still lack formal education. It is only through education that these kids will have a chance to escape the crippling cycle of poverty. The What If? Foundation is currently providing scholarships to 194 youngsters for the 2012–13 school year, covering tuition, transportation, books, uniforms, and other fees. A grant from BGR will provide $115 per student toward the scholarship costs of 87 elementary school students. School costs range between $250 and $350 per year.